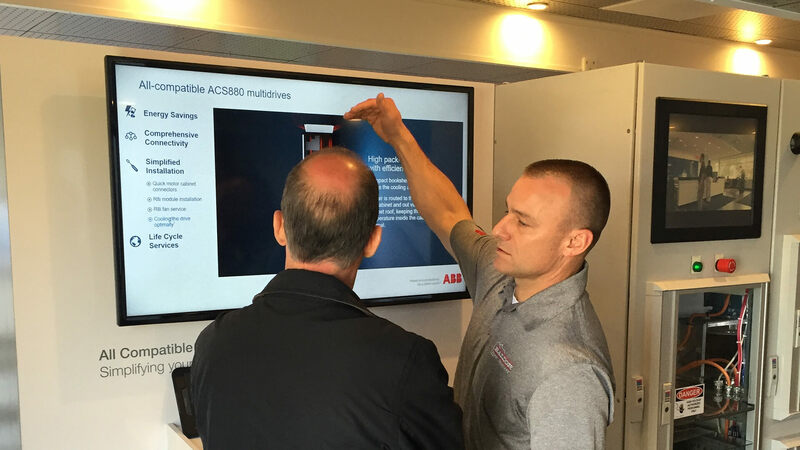 The ABB Drives and Controls Experience is a rolling road show that supports 225+ events annually and is packed full of ABB technology, interactive content and product demonstrations. This all-in-one tool allows ABB to blend the efforts of marketing and sales into one very targeted and efficient approach. 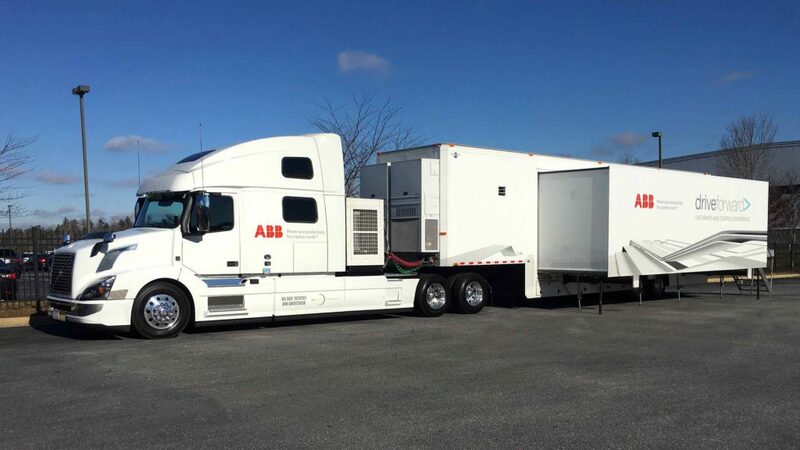 In 2017, EEI Mobile custom-designed this expandable trailer for travel to targeted ABB customer sites like manufacturing plants and mines where use of ABB drives and controls can reduce energy consumption significantly. 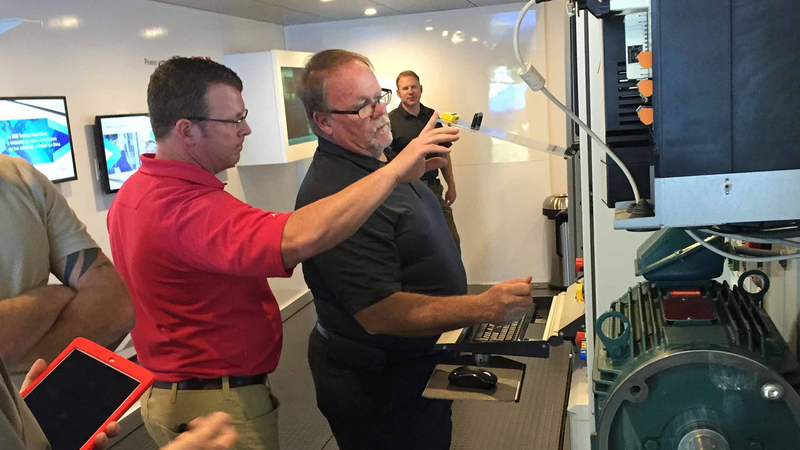 Additionally, the tour is designed to support the many ABB distributors around the county. 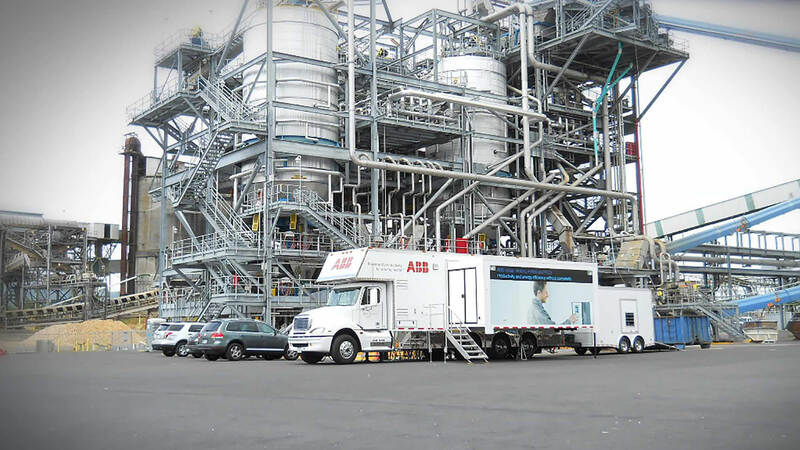 Having worked side-by-side with ABB for the last decade, we were able to build real user insight into the ABB Drives and Controls Experience. We balanced design aspirations with practical know-how to make it a highly effective tool for the ABB sales and marketing team. One of our big insights was about the trailer. Though it had to conform to certain size restrictions while traveling, it didn’t once it got to its destination. Our double expandable design allowed ABB the maximum interior space for getting down to business in comfort. 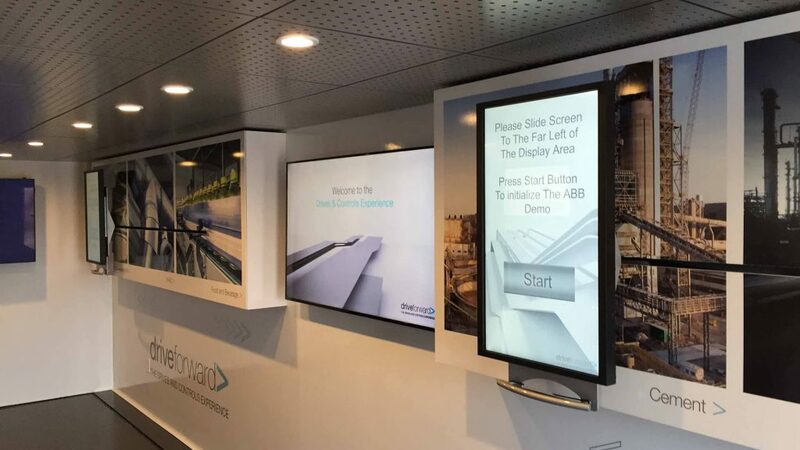 The ABB Drives and Controls Experience has proven to be the ideal tool for sales engineers to offer intimacy, interactivity and plenty of why-buys to prospective clients.